St. Colum’s Primary School Mission Statement. 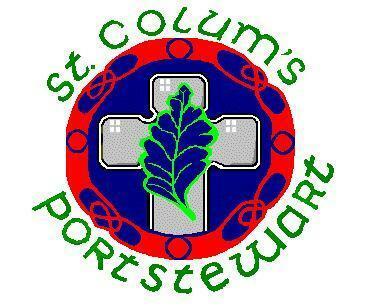 St. Colum’s Primary School is committed to serving the community of Portstewart by providing an education based on the Gospel values of love, truth and freedom. The pursuit of academic excellence is a vital component of Catholic Education. We seek to ensure parents; parish and carers are engaged and valued as partners in the education of their children. We are committed to working along with the Parish and share co-responsibility in providing liturgical experiences for pupils as well as enabling them to identify with and contribute to parish life. In St. Colum’s Primary School, we strive to ensure that each child reaches his/her academic potential, whilst promoting skills and attitudes to empower them in their future educational, emotional and social experiences. We aim to educate our children in an ethos which promotes and celebrates the uniqueness of staff and pupils, the worth and dignity of each child and forms our young people in the fullest sense; intellectually, spiritually and emotionally. In addition, we will foster habits of self-discipline and acceptable behaviour. Through policies and procedures we seek to demonstrate our commitment to charitable outreach, social justice and our contribution to social cohesion. We wish our pupils to be educated and develop in an environment which will enable them to make a vital contribution to our society at a local, national and global level, both now and in the future. By creating a happy and stimulating environment, we will endeavour to develop within the children a sense of achievement and confidence, an awareness of self and sensitivity to others and a respect for different beliefs and cultures.